Even with Scalia's presence on the court, Obamacare survived two crucial court decisions that could have dealt it fatal or near-fatal blows. And then, last year, by a 5-4 vote, the court redefined marriage. 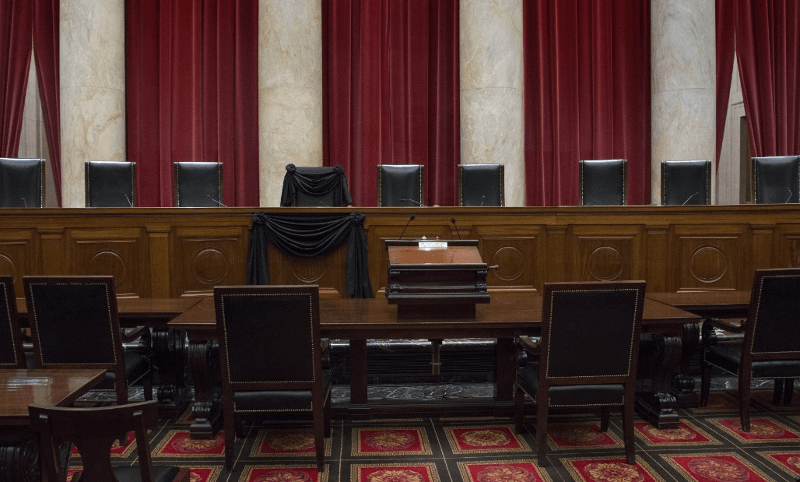 Conservatives know that a loss of Scalia's conservative anchor would open the door for our nation's highest court to turn completely into a group of black-robed Hollywood scriptwriters. The government then rejected their application. The Missouri constitution, they said, prohibits directing government funds to religious institutions because of an 1875 amendment — the Blaine Amendment. The constitution's first amendment guarantees each citizen's right to "free exercise" of their religion. The fourteenth amendment guarantees "equal protection" under the law. Refusal of a state government to use public funds, designated for the safety of children, for children at a school run by a church is anything but "free exercise" of religion and anything but "equal protection" under the law for kids at a church school. It is one thing to use the power of government and government funds to promote a certain religion. This is clearly what the U.S. constitution wishes to prevent. But it is quite another thing to discriminate against a citizen of faith and not make government resources available to that citizen, resources that are available to other citizens, because of that individual's faith. The Trinity Lutheran Church has already lost twice on this question. It's why our courts need a strong and powerful conservative injection.